As a writer, I like to try on the title of “artist”. It sounds so free-spirited, edgy and unpredictable. It makes me feel colorful, unique and it frames my sheer looney-ness as something more respectable. But alas, I’m kind of a rule follower. 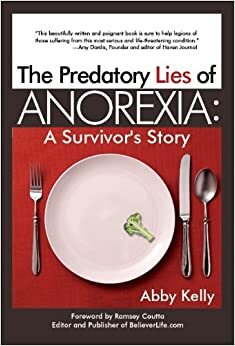 As a freed anorexic (a more appropriate term than “recovered” as it denotes the truth that I had nothing to do with it, and the fact that anorexia was indeed a harsh master), I have been practicing restraint in my physical exercise habits for years. Since over exercising was one of my eating disordered vices, health for me looks like moderation and sometimes abstinence. Unfortunately, that doesn’t mean I don’t worry about exercise often, and stress about how much I should do, what I should do, if I’m doing enough and what workout will produce the best results. Thank God, He has protected me from myself and kept me from acting out on any of these fears. But I don’t want to just be physically healthy. Come to think of it, my eating disorder was nothing less than a list of rules. Put that way, it seems ironic that I seek freedom by asking God to give me another set of rules. Rules and regulations have a certain appeal. They call to us with the promise of a secured outcome. If we follow these rules, we will get these guaranteed results. The Bible says the mind set on the Spirit is life and peace. In Isaiah, we’re told that God keeps in perfect peace the one whose mind is set on Him. And we also learn to take our thoughts captive to Christ – not be captivated by them. My mental merry-go-round has been in overdrive for the past couple days. As I walked the dog this morning, I brought those thoughts in chains to my Father. “Lord, I want to be completely obsessed with you. I know that’s impossible as long as my heart is divided and distracted by so many thoughts of exercise. Please, please free my mind. Abba didn’t answer the way I thought He would. Instead, He took my mind through a maze of reasoning based on Scripture, that led me to a place of peace, however not at all a place like I had imagined. “Daughter, Why do you ask for rules? You want to know what’s safe and predictable. You want to know what you should do in order to achieve those things that you believe will make you happiest. Your body is not a means to an end. Your body is a means to me. I have given you a body to fully experience the joy of relationship with me and with others. Of what good is all your exercise if it does not bring you joy and it is not achieving an end that I require of you? You have no need for all those things such as flat abs and thin thighs, and manipulating your body to obtain them does not bring you joy. Why then are you doing them? I will not give a list of rules because I want you to discover what brings you joy. What about arms reaching, legs stretching, toes wiggling, lungs swelling, heart pounding? What of those things brings you joy? Since the dawn of Grace, the gift of eternal life though my Son Jesus, man has searched high and low for a rule book, a law, to guide him into my favor. It does not exist. My grace covers even your workouts. Do not demand a list of rules that does not exist. Do not demand a law that has been fulfilled. This is the day that I have made. Question: Do you follow a list of rules for your workouts and diet? Why? What if you threw them to the wind? What, if anything, is good about having rules to follow?